April 2014: Man Cave Month at Peter Salerno Inc. – Design Your Lifestyle. April 2014: Man Cave Month at Peter Salerno Inc.
April 2014 May 2014 Peter Salerno, Inc.
Man Cave Designs From Peter Salerno Inc. When a company has a line called “Man Cave Classics”, you know they’re devoted to making a guy’s personal space as incredible and unique as possible. Peter Salerno Inc. is dedicating the month of April to their custom “man cave” designs. 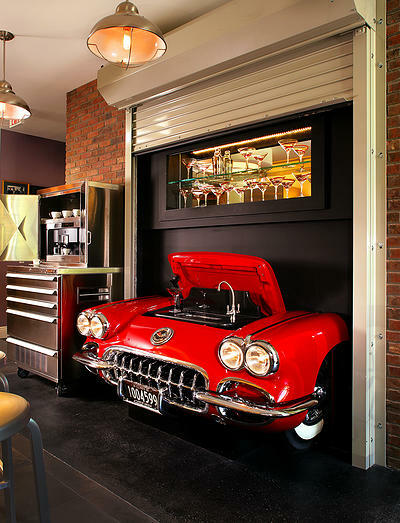 Whether it’s custom-built humidors, one-of-a-kind bars, rec room designs, or anything else you can dream up, Peter Salerno and his team can create the man cave of your dreams. No matter what your passion, Peter Salerno can design a custom man cave centered around what you love. For the wine lover, the main highlight of a Man Cave should be an incredible wine cellar. Proper wine storage is a priority, you must have the right balance of humidity and temperature. 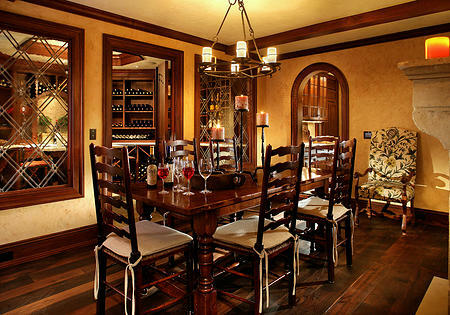 As wine enthusiasts ourselves we understand this; which is why we specialize in wine cellars. For the Cigar Lover, ​we can work a humidor into your wine cellar as a centerpiece or discretely disguised as a case of fine wine. If your cigar collection is as large as your wine collection a sister cellar devoted to your cigars may be in order- complete with smoke eaters, a beautiful table, a small bar to house and showcase your scotch and brandy, and top it off with a customized ice maker to fit your whiskey needs. 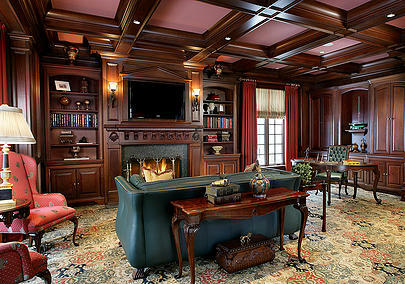 For a more classic Man Cave; traditional design and elegance are a must. Fireplaces, bars, TVs, mirrors, bookcases, gun cabinets, sword display, and billiard tables are essentials. Want a big screen for your bar but you don’t want to compromise that beautiful mirror? Why not have a hidden TV behind the mirror to catch up on the news with a night cap and keep that classic mirror when entertaining guests! Pingback: From Peter Salerno’s Kitchen: Best Cinco De Mayo Drink Recipes | Peter Salerno Inc.